Tips for bringing your dog with you when you go home. Bringing your dog to meet your family and friends when you go home for the holidays can be one of your great moments together. But if you have a dog that is fearful of new environments and people, please understand it can be a very challenging and stressful event for them. Here is a guide to help set both you and your dog up for success. 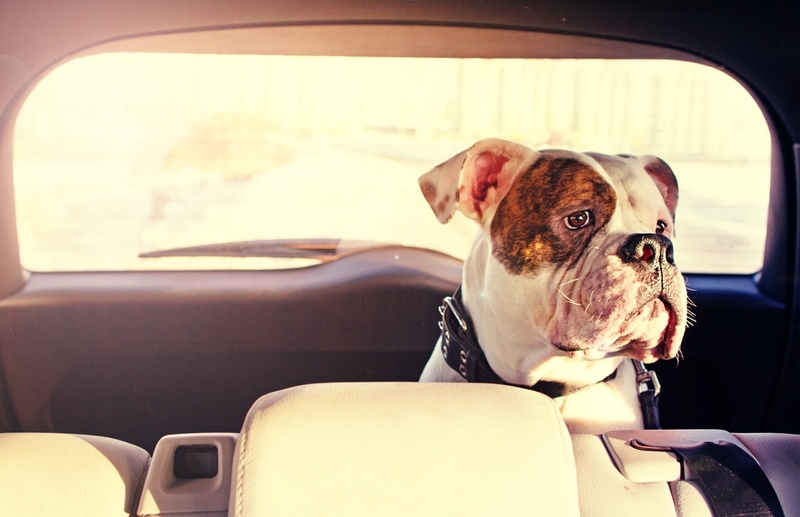 Traveling to your destination can be stressful for your dog. Prepare ahead of time to acclimate your dog to the trip, whether it's by car, mass transit, or plane.. The morning of the trip do not feed your dog, unless you are leaving in the evening. Since some dogs get sick, it's better for them not to travel on a full stomach. If you are flying, or taking a train, start feeding all meals in their travel carrier beforehand. If needed play “Crate Game” in it. Please do not travel with your dog in a plane’s cargo. If they are too big to be in a carrier I feel it is not worth the risk for a short trip. If possible, arrive at your destination before the rest of the guests for an easier transition. Once you arrive, give your dog a long walk with plenty of time to potty, smell and explore the environment, weather permitting. If dogs live at your family, or friends home, have them put away in another room or crate and make sure that all dog toys, chews, and food are not out. See “The Other Dogs” section below for more info. Give your dog time to take it all in slowly. It's important to let them "just be" and have time to smell and explore the new environment, and get to know you and their surroundings. On leash and supervised, of course. While your dog is exploring and sniffing the new environment, ask any nearby people to just sit and ignore your dog until. Please do not have your family hug or approach you at this point. Next, bring your dog to the room you are staying in to create a quiet calm space for them to decompress in their crate. This will become their safe place and help them adjust from the trip. If you have a dog that is fearful of new environments and people, it's important to let people know. Tell them about your dog and let them know the best way to interact with them. One good way to explain your dog's behavior is to compare them to someone who was just dropped off into a foreign country, where they don't speak the language or customs. It would make sense that it might take some time to adjust. I even like to compare a fearful dog to an introvert, which many people understand and can relate to. The biggest mistake many people make during the holidays, is to give their dog too much too soon, such as too much touching, talking, and affection by everyone. It’s best to give them time to take it all in. Set up the dogs “Place” bed next to where you are sitting on the couch. I highly recommend using a raised bed or cot to set your dog up for success. My favorite brand is 4legs4pets, seen in the photo here with Badass Brooklyn Animal Rescue alum Simon. Once everyone has settled in and relaxed, you can bring your dog out. This is after a potty walk, and then onto their “Place” bed. Remember to have your dogs leash on at all times, so you can guide them and prevent any bad choices. Have your family and friends ignore your dog. If things go well, you can add more interactions, as long as your family and friends are willing to participate in the training session. Here is video from my training session with Korean K9 Rescue alumna Nella where we are using the "Place" cue and counterconditioning and desensitization her reactions to a new person in the home and movement. Treat every time your dog is out as a training and counter conditioning session. Enjoy your time with your family and friends, have conversations, while marking and rewarding all good choices, . Examples of this are things such as people getting up and moving around, opening and closing of doors, cabinets and refrigerators. Be mindful of any of your dog's known triggers. If your dog is comfortable they can stay out longer. The goal is for them relax and fall asleep while in “Place”. If you have not taught your dog the “Place” cue here is a video Tutorial. This video shows many of the signs we can look out for to advocate for our dogs. Understanding your dog's body language is one of the most important things we as humans can do to help them. Dogs can’t tell us in words what they’re thinking, so once we learn how to understand their body language better, a whole world of communication with our dogs opens up and in turn we can have a better relationship. It's important to understand that dogs have 4 responses to any stressful situation: fight, flight, avoid, and acceptance. Dogs will rarely learn to accept without our help. We ask so much of our canine companions. Help them feel safer and more secure by guiding, protecting, and teaching them during these stressful times. If there are going to be children celebrating the holidays with you, it's imperative to teach them how to interact with dogs appropriately. 77% of dog bites come from a family or friend's dog. Please have all children watch the “I Speak Doggie” video before the holidays and do not leave your dog unsupervised with children for everyone’s safety. Please understand that many of our family and friends dogs might not have any obedience training or be crate trained. They may even have their own behavior issues. Keep all of this in mind when bringing your dog into their home or with other visiting dogs. When it comes to introductions to other dogs, it's, best to take the time to have proper dog-to-dog meetings as explained in this guide and take everything slow advocating for all dogs. The video above is one success story. When a family brought in a foster dog, they were off to a rough start, including some bad fear aggression. At the end the to were the best of friends, read their story here. If you are staying one place for multiple days, you should see your dog get more comfortable as time goes by. It's still a good idea to keep advocating, marking and rewarding good choices. Be sure to continue to manage your dog by putting them away during stressful moments. Help your dog warm up to your family and friends by asking them to join you on walks. 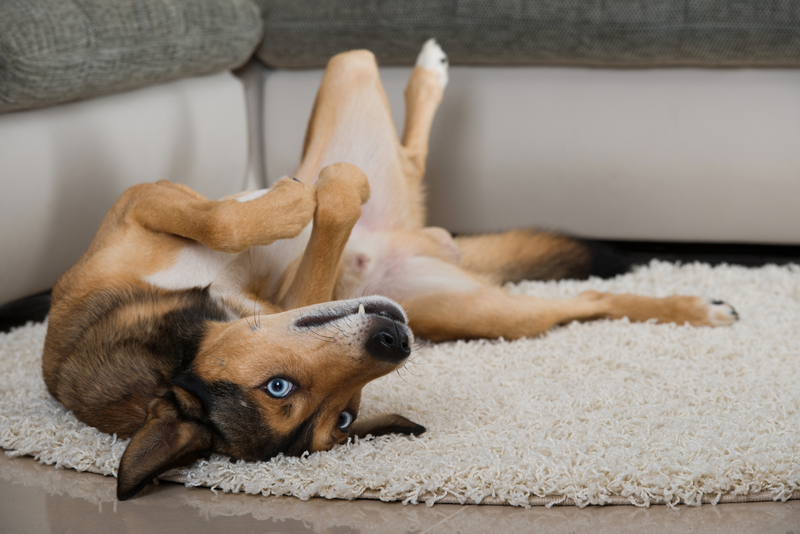 The time it takes for your dog to get comfortable can vary, depending on your dog's behavior. The key is to take it slow, and advocate for your dog. In the long run, this will help build a better relationship with your dog. I hope this information helps you and your dog during the holidays. If you are in Brooklyn NY, I would be glad to help you and your dog live better lives together. In other areas, please find a local trainer, it will make all the difference in the world..